In the past 26 years, you’ve helped save more than 600 local families from homelessness. You’ve stepped up as part of our Bridge family year after year, and for that, we thank you from the bottom of our hearts. 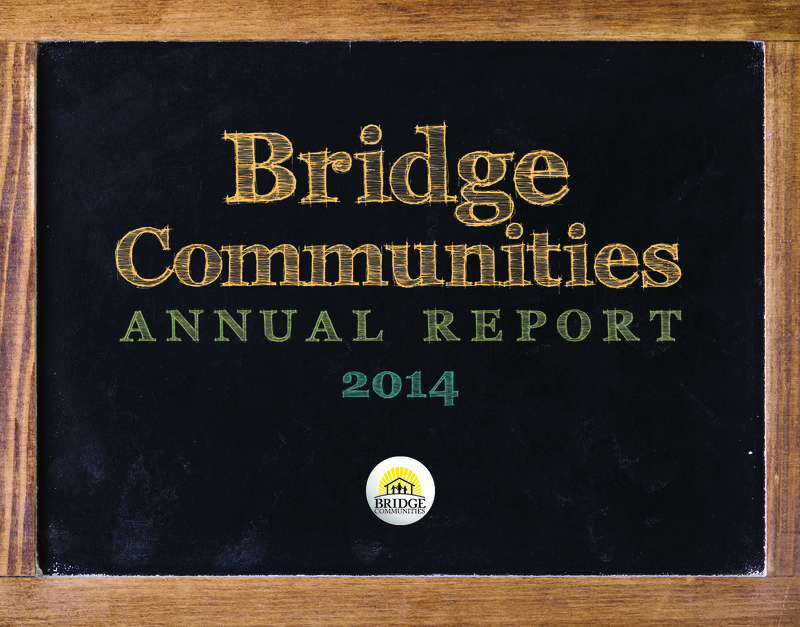 Our clients can’t always thank each of you in person, so we’re passing along their stories of gratitude inside our 2014 Annual Report. Please keep an eye out for these inspirational stories, and know you played an instrumental role in bridging the gap from homelessness to hope. We’ve also prepared a 90-second video to summarize our 2014 Annual Report. Please enjoy, and again, thank you for helping Bridge families grow stronger, together.